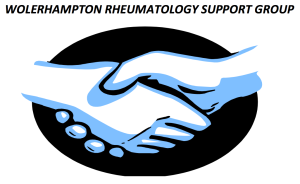 Wolverhampton Rheumatology Support Group (WRSG) was founded in 1994 and has recently celebrated 21 years of being a caring charity. Our primary aim is to support members who have arthritic conditions and to offer support to their family and carer’s. Being diagnosed with any arthritic condition can be both frightening and isolating, we believe that meeting people with the same issues can be very beneficial. We provide education on how to develop skills to manage their condition more effectively. Our group holds monthly coffee /information mornings, we have professional speakers come along to talk to the group. We produce a bi-monthly Newsletter to keep all members up to date with information and up-coming events.